I am a contemporary realist. I create artwork because I enjoy the fascinating and exhilarating process of translating what I see into something that provides a new way for the viewer to experience a subject; there is something especially satisfying about trying to interpret the artistic genius inherent in the existing world. I often experiment with seemingly ordinary subjects in order to surprise the viewer with a new perspective. I might focus on color, light, the curve of a form, the emotional power of an expression, or on capturing the essence of an object through line. 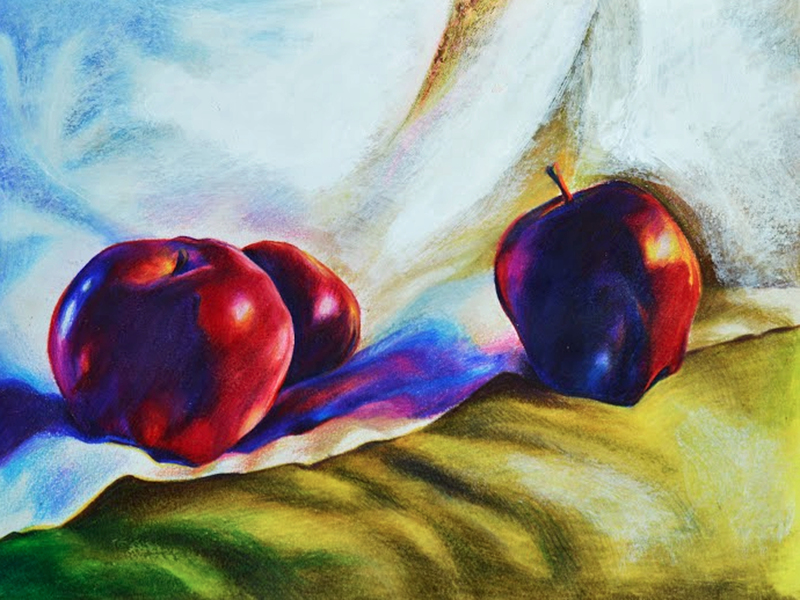 In my piece entitled Three Apples, I aim to emphasize the intensity of the apples’ brilliant crimson hues through a quasi-surreal approach to color; my hope is that the viewer will pause and experience color as an extended sensation. Personal experience as a cellist inspired my work entitled Cello. 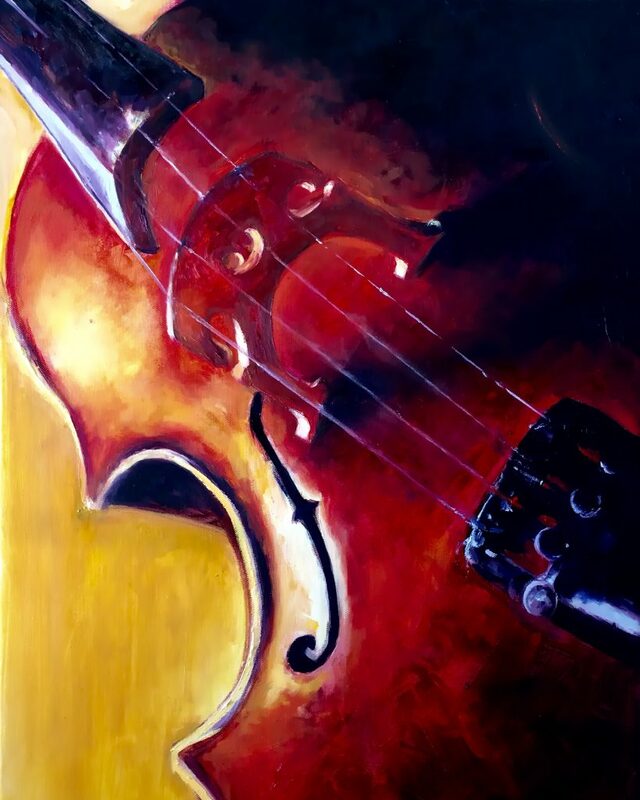 This painting celebrates the graceful material form of the instrument itself as well as the cello’s unique sound – its rich resonance and mellow tones. Cello was recently a Grades 10-12 winner in the national “Celebrating Art” Fall 2016 contest, and will be published in a national anthology for student work at the end of 2016.